As we’ve grown and worked with channel leaders across every industry and hundreds of thousands of partners across the globe, we have developed unprecedented knowledge and depth in what drives channel success — and it takes more than technology. To build upon the services Zift Solutions already provides, I’m excited to share the news that we’ve acquired Elastic Grid, a powerful cloud-based channel marketing platform backed by exceptional creative services. By now, most channel leaders know that you can’t simply populate a portal with sales collateral and marketing templates, then expect partners to use them effectively. With the addition of Elastic Grid, we’re positioned to deliver higher-touch partner support, which is a request I often hear when I meet with customers. Elastic Grid has nearly 20 years of creative agency expertise and personnel who specialize in digital partner-led marketing. There’s no one better to bridge the gap between channel technology and channel partners. Elastic Grid’s creative services team and digital advertising expertise will greatly enhance our Concierge Services. Now, Zift users will not only experience the most powerful, integrated ChanTech platform, backed by superior global support, they will also benefit from rich creative services to build campaigns that work for partners and drive channel success. This acquisition also makes Zift a more global channel provider with broader Asia Pacific coverage and new offices across the US as well as in Australia and Romania. We are on the ground, around the world, and our customers and users will benefit from more in-language support and multi-lingual campaigns. I’m also pleased to report that Elastic Grid’s founder and CEO, Cameron Avery, will join Zift as Senior Vice President of Business Development. He will work closely with Zift’s Channel Center of Excellence to focus on the integration of the two companies, and bring his expertise and best-practices experience to the entire Zift community. We will share more news as we move forward. For now, I invite you to explore the powerful benefits of this next step in Zift’s continued growth and success by clicking on the link below. 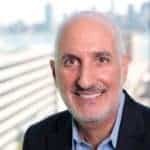 Gordon Rapkin is CEO of Zift Solutions.